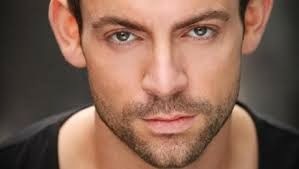 ITV’s Superstar talent contest winner, Ben Forster, is to play Agustin Magaldi in the forthcoming West End run of Evita at the Dominion Theatre. The show has a limited run of just 5 performances opening on September 16th , with a press night on September 22nd. Forster joins the previously announced Marti Pellow/Che, and Madalena Alberto/ Eva and Matthew Cammelle (Three Phantoms, South Pacific, The Phantom of the Opera)) as Peron. They will be joined by Sarah McNicholas, Michelle Pentecost, Amira Matthews, Olive Robinson, Verity Burgess, Gemma Atkins, Lizzie Ottley, Joe McCourt, Joe Maxwell, Joel Elferink, Ryan Pidgen, Anthony Ray, Chris Stoddart, Callum Fitzgerald, David Burlin, Stuart MacIver, Peter McPherson, Joseph Connor, Jamie Tyler and Christopher Palmer. Forster has appeared as Jesus in an arena tour of Andrew Lloyd Webber’s Jesus Christ Superstar in both the UK and Australia followed by playing Brad Majors in the 40th anniversary tour of The Rocky Horror Show.